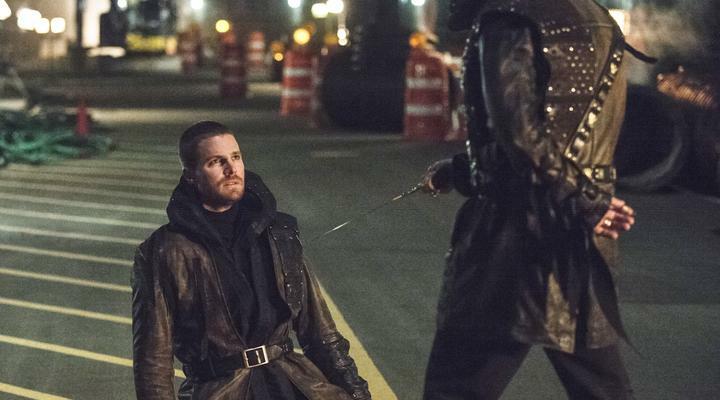 Season three of Arrow has been relatively divisive in terms of fan and critic approval. Season two ended on a high with Slade Wilson becoming the ultimate villain to our heroes journey and season one, while the show’s obvious weakest, had maybe the best finale of all three seasons period. Season three ends on a hopeful note, while one that begs the question of just how tidy the show needed to end before breaking it all apart again once season four hits. Sure, I like that Oliver and Felicity are getting to spend time together as a legitimate couple with none of Oliver’s man pain to weigh them down and his saying “I’m happy” was a well earned development for the haunted character. The episode didn’t pack the emotional punch that I would have liked and more time spent between Oliver and Diggle would have benefited that, and the action wasn’t altogether that thrilling either. It was a nice ending but a largely unsatisfying one. Season three took it’s time telling it’s story and by the end of it I can’t help but feel that on the whole, season three was a bit of a filler season, despite some fantastic plot developments, comic book lore and a lead who’s continued to grow into the role. The show also (unfairly) had to contend with other shows grabbing the “shiny and new” spotlight. The Flash is the obvious comparison, a show that got off to a much more confident start than it’s counterpart, but also shows such as Agent Carter which nailed the comic book pulpy tone and Daredevil which is by far the best superhero television show period. Season three wasn’t a total bust and there was enough good and bad to go around.